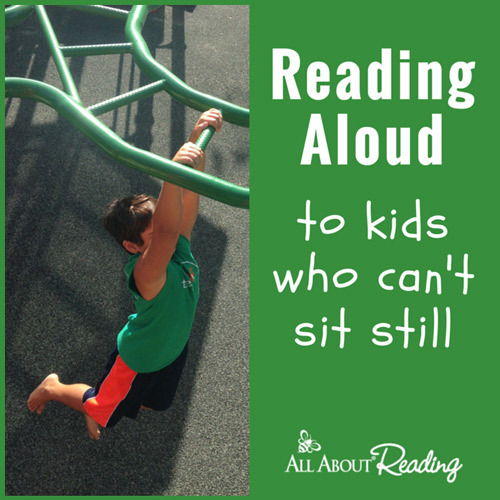 Do your kids sit still for read-alouds? Both of my kids were really good “sitters”—they would sit still for a dozen books in a row, and still ask for more. There was no such thing as too much read-aloud time in their eyes. Reading aloud to them was a joy. But many children are just the opposite. Kinesthetic learners often have a hard time sitting still during read-alouds. They can sit still for two minutes, and then—ZOOM!—they are off.